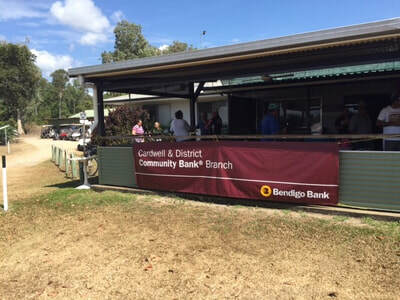 The Bendigo Bank Cross Country Ambrose was held on Sunday 17th September. Thirteen teams participated and a great time was had by all. 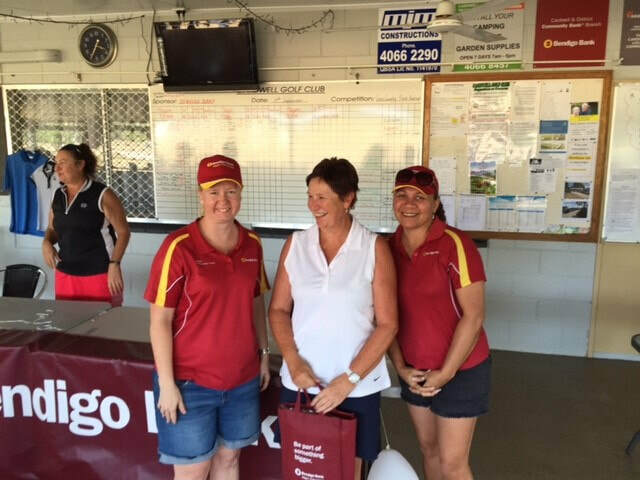 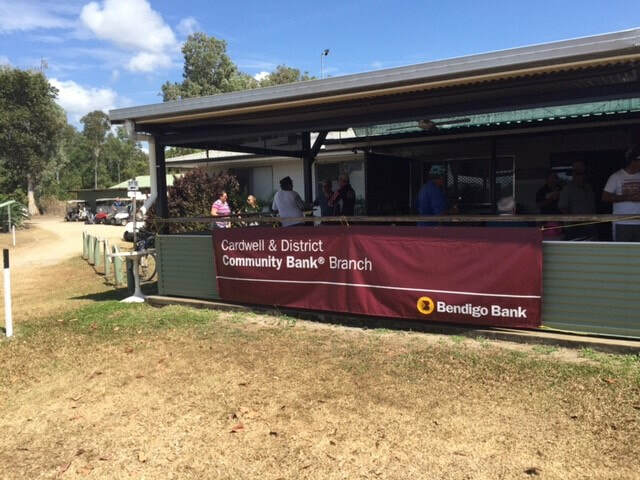 Wendy and Amanda from the Cardwell District Community Bendigo Bank were on hand to help sell the raffle tickets and hand out the prizes. The prizes in all categories were very generous. 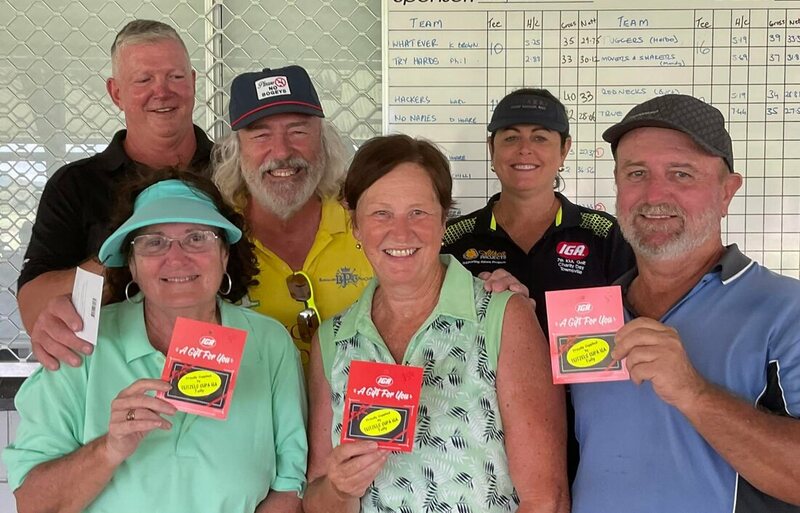 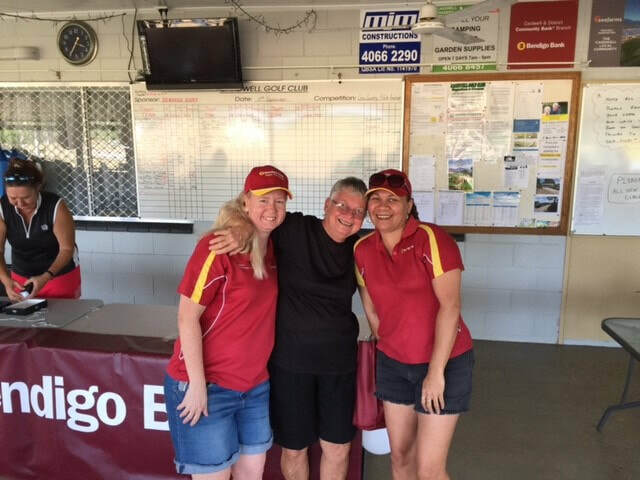 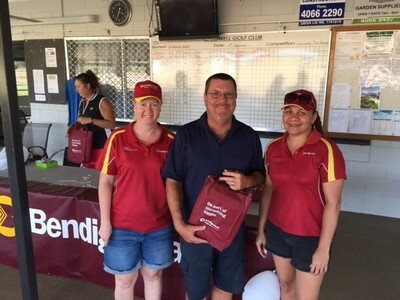 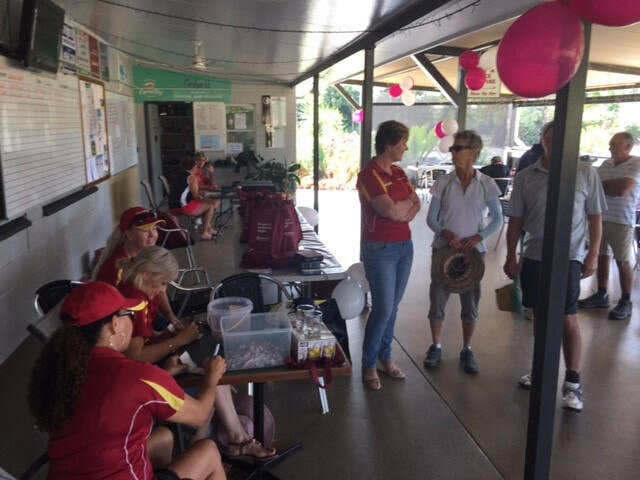 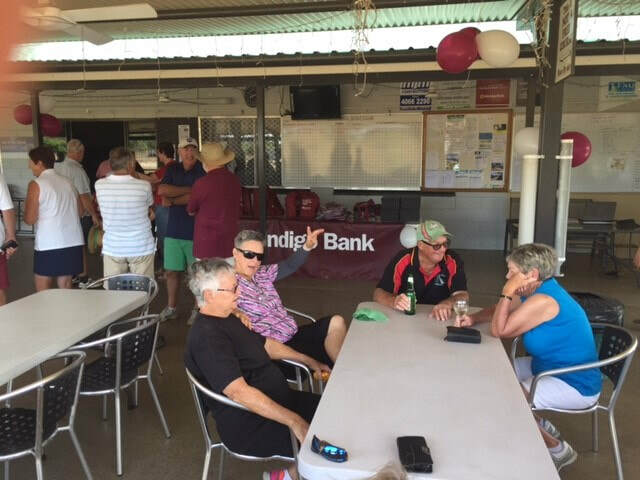 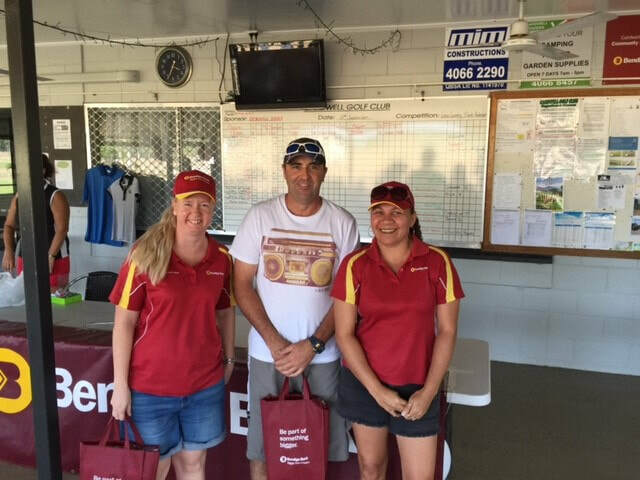 There were prizes for the first 10 teams, nearest the pins and most lost balls which was taken out by the Hinchinbrook Hillbillies, Mick, Dave, Kym and Lil who collectively lost 12 balls. 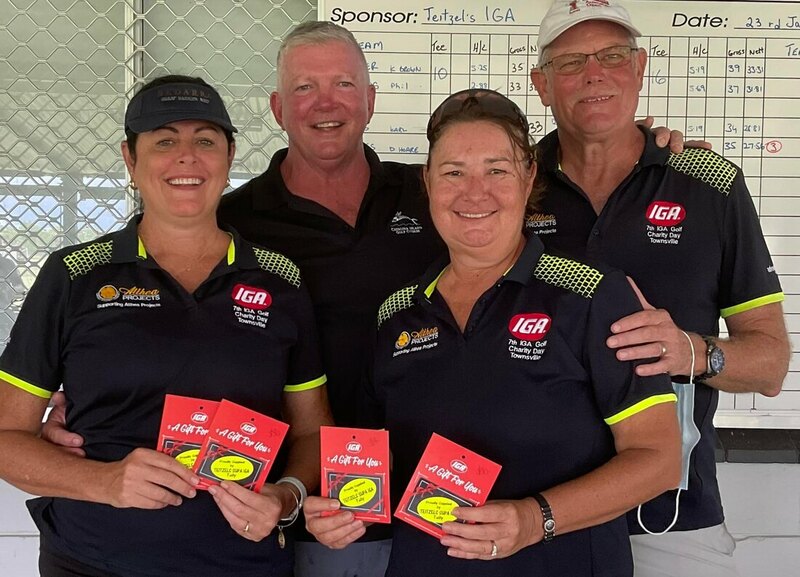 There were 4 longest drive prizes, Men with less than 27 handicap, Graham Gardiner, Men 27 and over handicap Mick Hurcum, Ladies less than 35 handicap, Christine Taylor and ladies handicap 35 and over Jenny Quigley. 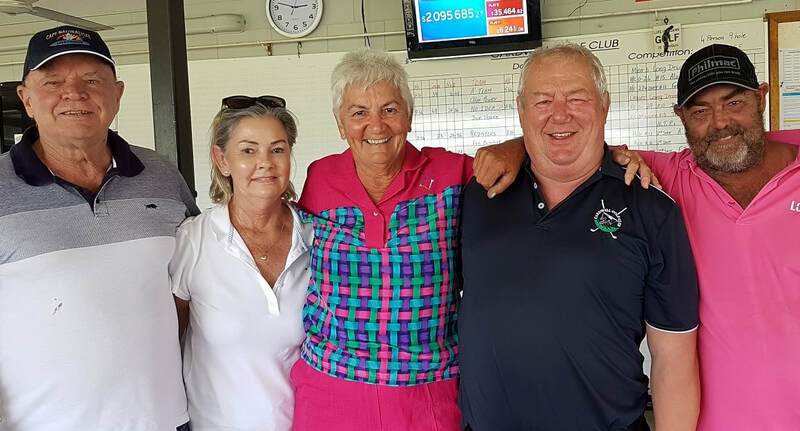 In first place were The Tuggas, Andrew Herbertson, Burt Burchell, Bill Dorries and John Benton, a group part of the regular Friday Hackers that must get a lot of practice playing through the tree's and out of the rough!.